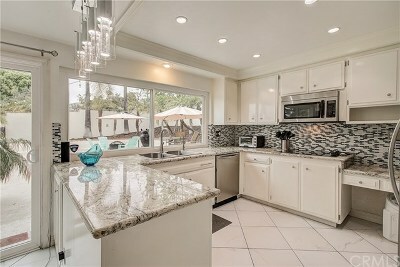 Mission Viejo real estate is set against the scenic backdrop of the Saddleback Mountains in a picturesque, family-friendly city with rolling terrain, laughter-filled parks, a network of hiking trails and the shimmering 124 acre Lake Mission Viejo. Located in the center of south Orange County just twenty minutes from the employment center of Irvine and in close proximity to Orange County's stunning coastline, Mission Viejo is envied for its consistent ranking as one of the nation’s safest cities, and it attracts parents looking for good schools and a community spirit. 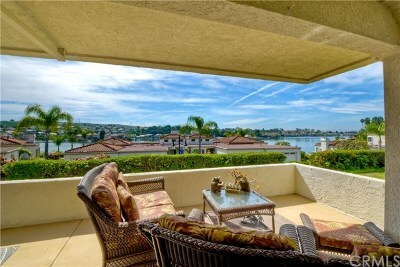 Lake Mission Viejo means summertime fun and a chance to make beautiful memories with your family. 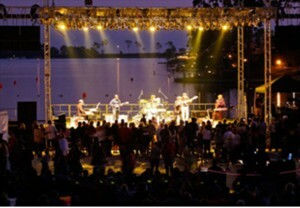 Enjoy white sandy beaches, outdoor movies, and summer concerts with Michael Bolton, Emmy Lou Harris, the Temptations, Pat Benetar and many other favorites. Enjoy fishing? Lake Mission Viejo is stocked at different times of the year with bass or trout and the competition is friendly but fierce. 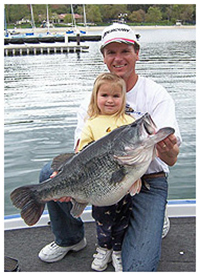 On April 1, 2006 George Coniglio reeled in a 19 lbs 12 oz largemouth bass measuring 28 inches long with a 26- inch girth – the 13th largest all time nationwide. The rainbow trout have been caught close to 15 lbs and catfish over 70lbs. Prefer boating? Join the sailing club. Or rent a party boat. 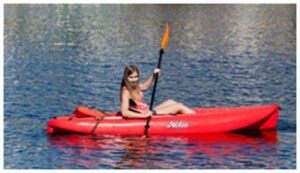 Exercise with a Kayak or kick back with a paddle boat. 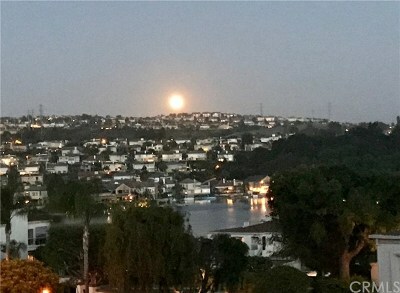 Lake Mission Viejo also boasts beautiful sunsets, lakeside dining, a club house for special events, a playground, volley ball court and outdoor barbecues where you are sure to run into friends and neighbors. 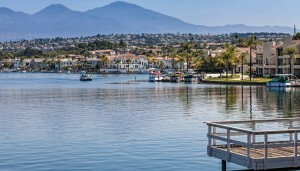 The scenic 3.2 mile loop around Lake Mission Viejo offers beautiful panoramas and no matter what time of day it is you are sure to see young and old alike enjoying a brisk walk or run together. 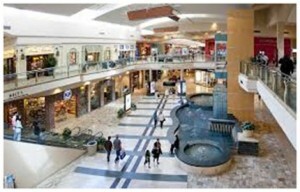 Who doesn’t love The Shops At Mission Viejo, an upscale shopping mall in the southern part of Mission Viejo anchored by Macy’s, Nordstrom, and Forever 22 and featuring 150 stores and restaurants. Also at Crown Valley and the 5 Freeway, the Kaleidoscope Center is a favorite destination for Jumpin n’ Jammin, more shops and movies. If your date night plans include dinner, be sure to check out Wine Works and the Dublin 4 Gastropub. Golf enthusiasts have three choices in Mission Viejo. 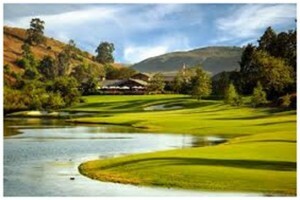 Members of the prestigious Mission Viejo Country Club enjoy the 165 acre Robert Trent Jones Sr. designed championship golf course which has hosted many PGA events and been part of the history of Mission Viejo. If you want real estate on the golf course, you can chose from the beloved Madrid Fore neighborhood, the semi-custom homes by John Lyttle, the condos in the gated community of Baja Finisterra (Finisterra Green Alta), the spacious La Mancha townhomes and the homes for sale in the established Granada neighborhood. The Arroyo Trabuco Golf Club is open to the public and features an 18-hole course designed by PGA Tour professional Tom Lehman in a pristine, park-like setting on 240 acres. The Coronado development is adjacent to the Arroyo Trabuco Golf Club, and homes for sale in this neighborhood are highly desired for their premium location. The Casta Del Sol Golf Course has a challenging executive layout and a cozy Cheers-style clubhouse not far from Lake Mission Viejo. Thinking of retiring in style? The gated senior community of Casta Del Sol is adjacent to the Casta Del Sol Golf Course and offers stunning vistas of the course with some coveted homes offering golf course frontage. Not ready to retire? Cypress Point and Lake Ridge form an intimate gated community across from Lake Mission Viejo and adjacent to the Casta Del Sol Golf Course. Or be one of the luck buyers to discover the hidden gem known as FinsterraGreen”Alta”, a gated community across from Lake Mission Viejo with real estate offering golf course frontage and beautiful views. Considered to be one of the largest master-planned communities ever built in the US, it wasn’t that long ago that Mission Viejo was primarily used as cattle and sheep grazing land. And the land forming the natural basin for Lake Mission Viejo was once a large bean and barley farm. The chain of title goes back to the Portola expedition in 1769 when Gaspar de Portola claimed the land for Spain. After Mexico gained its independence, it claimed the land. About the time of the Mexican-American War, the politically connected businessman John (Don Juan) Forster acquired the three ranchos known as El Trabuco, Mission Viejo and Los Potreros. When his estate was sold the Irish cattleman Richard O’Neill purchased it with 10,000 acres being eventually sold off to the organizers of the Mission Viejo Company. 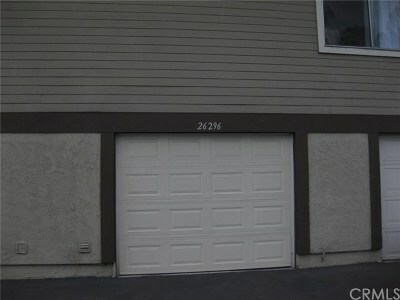 weren’t sure how to develop Mission Viejo’s hilly terrain. In 1965, the Orange County Board of Supervisors approved a master plan for Mission Viejo and a year later families stood in line to pay $21,000 for the Deane homes that were offered for sale near La Paz Road and Chrisanta Drive. 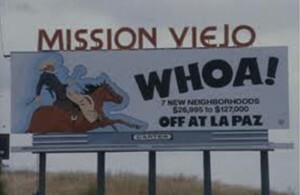 Every now and then you’ll meet residents who still remember the large billboard announcing the new Mission Viejo developments. 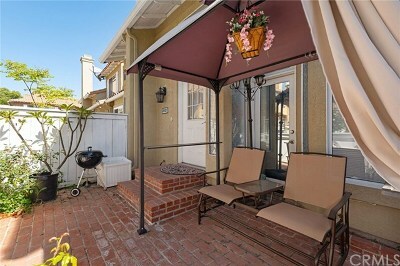 For information on relocating to Mission Viejo, please contact the Mission Viejo Realtors Mark and Theresa Thoburn with RE/MAX at 949-378-7222.